The featured speaker will be Rebecca Osman, owner of Your Stage Coach, who draws on over 25 years of experience and training as an actor, director, and drama educator to help others perform at their best in front of their audiences. Her coaching empowers people to present their ideas and themselves with confidence and clarity. 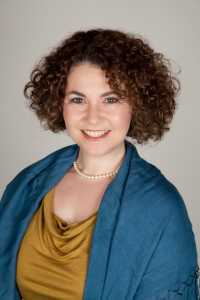 To learn more about Ms. Osman, visit her website at www.yourstagecoach.com. WHAT: Growthmasters’ Lunch & Learn on “Setting the Stage and Making a Great Entrance: Turning Confidence into a Full Body Experience,” featuring Rebecca Osman. WHEN: Thursday, July 12, 2012 from 11:30 a.m. to 12:30 p.m.
INFO: Confidence is more than a feeling – it’s a physical state of being. Presenting yourself with confidence is essential when you are selling yourself and your ideas. Audiences sit up and listen to confident speakers. Employers hire candidates who speak clearly and with belief in what they are saying. Employees want confident managers who they trust and from whom they can learn.